Retirement is the time when you should enjoy life, liberated from the hassle of home and garden maintenance. We’ll take care of all that. You get your time back and more freedom to do the things you love. The cost of entering a Retirement Community is generally less than that of buying a home conventionally and there’s no stamp duty to pay. So selling your home to buy into a retirement community can free up a lot of money for you to enjoy on travel, a new car or entertainment and dining out. Whatever takes your fancy. We know the importance of family and friends. Your home in the Retirement Community is still your home and your friends and family are welcome to visit and stay with you*. They are welcome to use the community amenities, gardens, barbeques, playgrounds and function facilities*. *Extended stays and the use of some amenities may require an arrangement with the Retirement Community Manager. People often cite their neighbours, friendships and the social company as the best things that Retirement Communities have to offer. 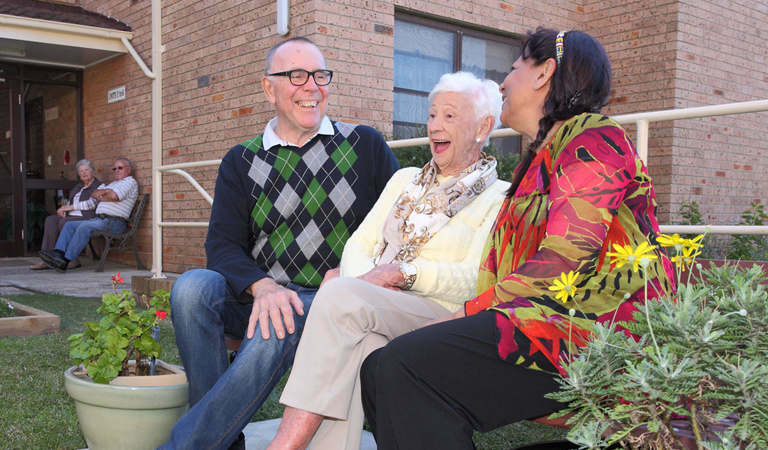 Whether you want to do your own thing or make new friendships, our Retirement Communities are warm and welcoming and allow you to be as involved as you want to be. There’s never pressure to be part of anything. Many people enjoy their privacy and quiet time as much as their social connections and it’s always up to you to decide how much you want to be involved. You have the peace of mind that you are safe and secure and never far from help if needed. All our homes come with 24/7 emergency call systems and there’s a range of Village Services available to your door including domestic assistance, personal care and health and wellness options. You also have the reassurance of knowing that we have world-class Residential Aged care homes if you should ever need them.